Shahid Bhagat Singh was not Hanged on 14th Feb.
A Message has been Viral on WhatsApp and other platforms that Shahid Bhagat Singh was hanged on 14th February which people don’t know about which was false. 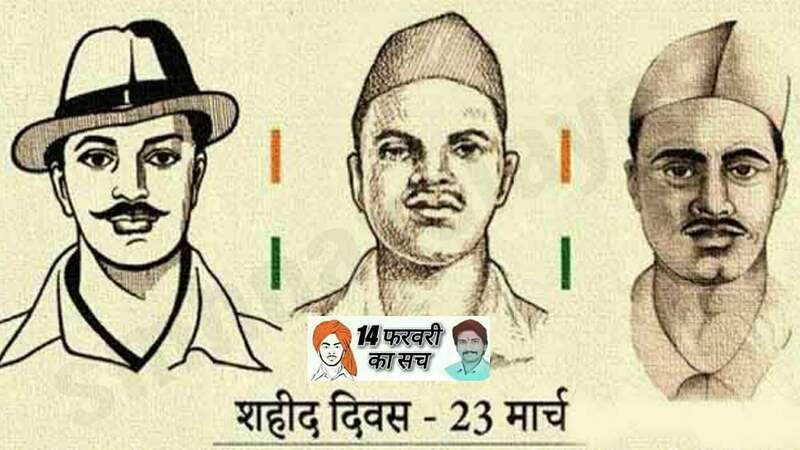 Hoax: Every Year before Valentine’s Day false messages make rounds, some say Martyrs Bhagat Singh, Rajguru & Sukhdev were hanged on 14th Feb, some say the sentence was delivered on this day. When the Supreme Court of India established a museum to display landmarks in the history of India’s judicial system, it also put on display records of some historic trials. The first exhibition that was organised was the ‘Trial of Bhagat Singh.’ It was opened on September 28, 2007, on the occasion of the birth centenary celebrations of one of the most significant among martyrs and popular heroes. Noorul Hooda, Curator of the Museum, and Rajmani Srivastava of the National Archives worked to collect documents, items like bomb shell remains, pictures and publications. Not all of what was collected could be displayed in the exhibition. In 2008, the Supreme Court digitalised the exhibits. Some of Bhagat Singh’s rare writings thus came to light for the first time since he was executed on March 23, 1931 at the Lahore Central Jail along with Rajguru and Sukhdev. How the three young patriots were put to judicial murder, is brought out by the eminent legal scholar, A.G. Noorani, in his book, The Trial of Bhagat Singh — Politics of Justice. ← Hiding the names of Special Gaali-waly Cyber Deshbhakts ;) as 1. Koi fark nahi padta, they won’t get it anyways 2. heard some FB rule, which might harm this page. Dos & Don’ts for WhatsApp & the dangers involved. Leaked photos of upcoming Rs. 20 and Rs. 350 ?